Luqmanul Chakim’s performance of instruments of the working class – Bundengan (duck herder’s rain shield and zither) from Java, Rantok (polyrhythmic rice pounding), and Gule Gending (fairy floss street vendor’s steal pans) from Lombok, will be complemented and contrasted by the Sindhen vocals (Javanese Court style) of internationally acclaimed Peni Candrarini. Artistic Director Bianca Gannon, performing post-minimalist piano and gamelan, propels this exchange into a contemporary art music context. 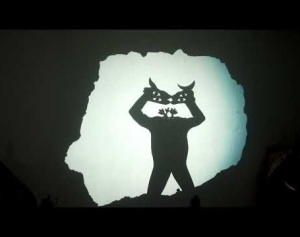 This major work is further magnified by the digitally enhanced idiosyncratic shadow puppetry of Bungkus Art Collective. The result is a bilateral dialogue around timely issues. The artist will contribute 50% of the proceeds of this show to earthquake relief charities in Lombok. 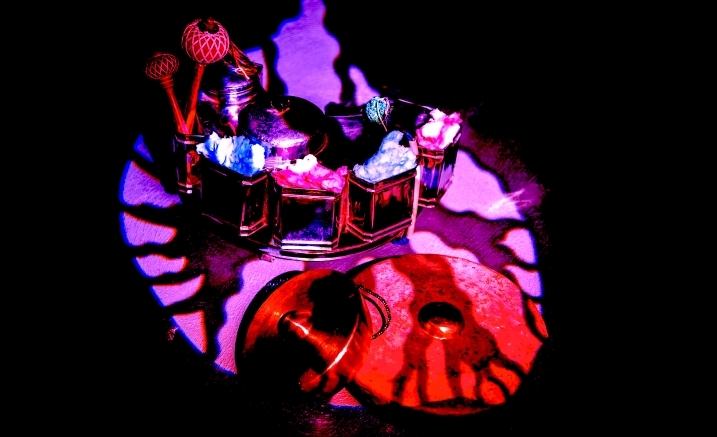 The Sound of Shadows: Sugar Coated was assisted by the Victorian Government through Creative Victoria and is presented in conjunction with Multicultural Arts Victoria and Mapping Melbourne. The Sugar Coated team invites you to attend a post-concert Q&A from 8.40pm – 9pm.